Revenue offers tax-relief on Long Service Awards, when the awards take the form of tangible gifts. This represents up to 57% savings over long service awards made in the form of cash or vouchers. no similar award has been made to the employee within the previous five years. 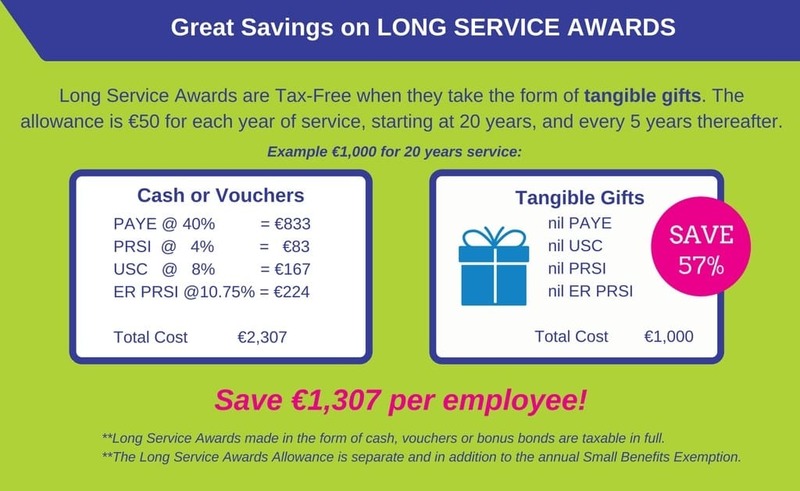 The Long and Short is …Long Service Awards must be Tangible to be Tax Free! Gift Innovations offers a wide range of Service Award gifts that you and your employees will love. Contact us for details on our latest range of gifts and a live demonstration of our rewards portal.